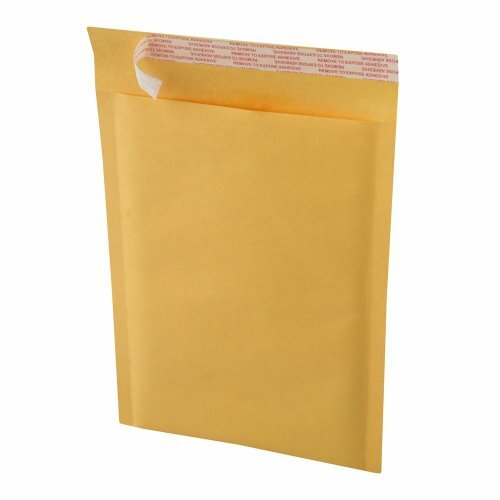 EcoSwift Brand Kraft Bubble Mailers with self-sealing, peel and stick adhesive, keeps contents secure and tamper proof. EcoSwift Kraft Bubble Mailers are extremely durable and lightweight to help save you money on postage and are constructed with strong seams, fins on two sides, and a seamless bottom for maximum protection. Surface easily accepts ink, stamps, and labels. Approved by shipping carriers. Usable Space: 6" x 9"
If you have any questions about this product by EcoSwift, contact us by completing and submitting the form below. If you are looking for a specif part number, please include it with your message.